Bobby is an employee in a large dinosaur museum. He has been working there for almost 3 years. His main work is to guide visitors to visit the museum. Several months ago, the films Ice Age, its two sequels, and Jurassic Park had been very popular. So many people have been interested in dinosaurs. The visitors of the dinosaur museum became more and more. Bobby's work made him very tired. One day, he saw an advertisement about the advanced self-balancing scooters. He was so interested in the new model that he came to a sports store and bought a Fosjoas twin-wheeled scooter V5. Then he put up a petition to his superior, which said that he wanted to work by a Fosjoas V5 twin wheel electric scooters. The head of department agreed with Bobby. He thought it was a very good idea. The new advanced vehicle Fosjoas V5 can not only reduce staff workload, but also attract more visitors. Why Bobby chose a Fosjoas intelligent twin-wheeled scooter V5, rather than unicycles or two-wheeled scooters? 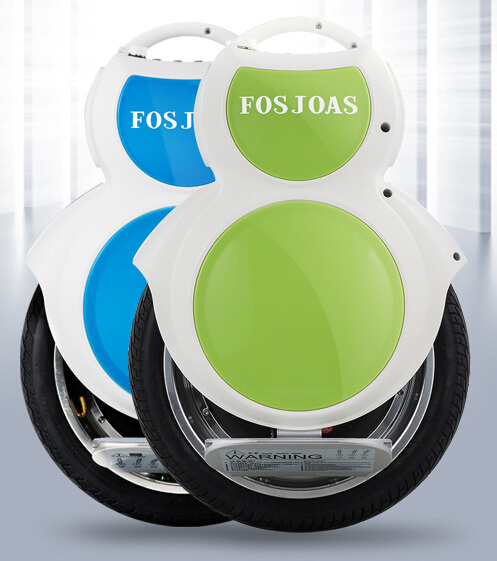 Fosjoas industrial designers applied the ground- breaking twin-structure and customized flat tires to V5. The new structure and flat tires make Fosjoas V5 firmer. Owing to the two new designs, the contact area between wheels and the ground is wider. That is easier for freshmen to learn riding self-balancing scooters. And users may have smoother trips on Fosjoas twin-wheeled scooters than unicycles. Because of safer cycling experiences and ease of learning, Bobby bought a Fosjoas V5. In fact, it only took Bobby 10 minutes to learn. During the working time, Bobby is riding a Fosjoas V5 self-balancing electric scooter while showing tourists the museum. Since he can completely control the electric scooters by twisting his body, his hands still can demonstrate some projects for visitors. What's more, the leaders of the museum have decided to buy more Fosjoas intelligent scooters for the employees and visitors.